Like any other industry, folks in the human resources (HR) biz have to make it a point to educate themselves on the latest trends and best practices. From driving world-class employee engagement to artificial intelligence and the workforce of the future, there are many important topics that HR professionals can benefit from learning more about. Whether your New Year’s resolution is to read more books or to expand your knowledge of the industry you work in, we’ve got you covered. We compiled a list of the best HR books to read in the year ahead. Authors Nigel Guenole, Jonathan Ferrar, and Sheri Feinzig are respected consultants in HR strategy, workforce analytics, and organizational transformation. Guenole consults with some of the world’s most successful organizations on improving organizational performance with psychological science. Ferrar has been listed as one of the global Top 50 HR Analytics Influencers and 15 HR and People Analytics Experts to Follow. Feinzig has applied her analytical expertise to several projects on employee retention, employee engagement, performance feedback, and organizational culture. In their book, The Power of People: Learn How Successful Organizations Use Workforce Analytics To Improve Business Performance, the authors discuss workforce analytics and how organizations can leverage it to inform decision-making, improve communication, and drive performance. This book makes the list because it’s an excellent primer for workforce analytics and how it can be used to predict outcomes and improve on organizational capabilities. The authors share expert insights, useful tools, and thorough research that will provide any HR professional with a wealth of knowledge on workforce analytics and the potential it has to transform the industry. Steve Browne is an accomplished writer, speaker, and thought leader in HR. He’s dedicated his career to helping build and connect the global HR community. Browne also facilitates a monthly roundtable and runs an online message board for HR professionals. 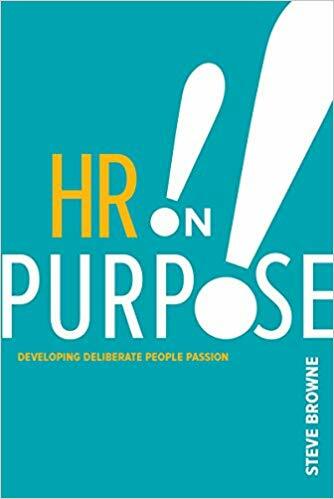 In his book, HR on Purpose: Developing Deliberate People Passion, Browne shares real-life examples and insights, encouraging those in the HR industry to rethink their approach to what they do. He emphasizes that HR professionals should let go of any preconceptions of what they think HR should be and focus on what HR could be instead. HR on Purpose is a must-read because of the fresh, inspiring perspective that Browne offers on the HR industry. With engaging, real-life examples and an undeniable enthusiasm, he pushes readers to always put others first and develop a “people passion” to improve your craft. Over more than 25 years in the industry, Vero Vanmiddelem has held several of the key positions in HR. She teaches, writes, and speaks about many industry topics, and she’s dedicated to helping business leaders broaden their horizons and embrace the “people side” of doing things. In her book, Standout HR: Transform Your Company’s Human Resources From a Generic, Low-Value Commodity to a Strategic System That Fuels Business Results, Vanmiddelem outlines what it takes to redesign a company’s HR strategy to create added value. Standout HR paves the way to a targeted, customized HR strategy and model, helping readers build a “company-original” HR roadmap for success. Vanmiddelem shares a unique HR model that takes you through the entire employee lifecycle and focuses on building a company-original strategy. It’s a must-read for anyone in the HR industry, with helpful real-life examples and a step-by-step guide for creating added value for your organization. Erica Keswin is a workplace strategist, business coach, and founder of the Spaghetti Project, a platform dedicated to sharing the science and stories of human connections. Keswin has spent over two decades consulting, speaking, writing, and being a “professional dot-connector” for some of the most iconic brands around. Her book Bring Your Human to Work: 10 Surefire Ways to Design a Workplace That is Good for People, Great for Business, and Just Might Change the World, offers ten ways HR professionals can transform the workplace by applying one simple truth to everything they do: Smart companies honor relationships. This book reminds us that despite the digital age we live in, we can’t forget about the value in real, human connections. Keswin provides helpful insights and ideas to inspire HR professionals to build meaningful relationships with people at work. She also shares engaging, true stories about companies that have succeeded at putting people first in business. Sharon Armstrong and Barbara Mitchell are experienced authors, speakers, and consultants in the HR industry. Armstrong is the author of The Essential Performance Review Handbook. Mitchell co-wrote The Big Book of HR, The Essential Workplace Conflict Handbook. In the fully updated 10th anniversary edition, The Essential HR Handbook: A Quick and Handy Resource for Any Manager or HR Professional, covers several trending topics in the HR industry today. From attracting staff through social media recruiting, to training a diverse and multigenerational workforce, this book is full of helpful insights and tools that every HR professional can benefit from. The newest edition of The Essential HR Handbook is a must for those looking for a deep dive into the time-honored techniques and the newest trends in the HR space. The authors build on their expert reference tool with insights on everything from telework to wellness programs and social media in the workplace, offering useful scenarios and practical tools that anyone in the industry can make use of. Lucy Adams is the CEO of Disruptive HR, an agency focused on changing outdated HR practices for good. In addition to running a global agency, Adams is a writer, speaker, and thought leader on leading complex change and the disruption of HR. 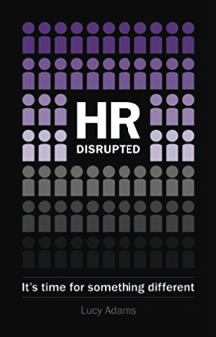 In her book, HR Disrupted: It’s Time for Something Different, Adams determines that HR has lost its way and needs to find a new direction. She encourages HR departments to take a fresh look at their approach and then to completely transform it. This book offers a refreshing perspective on the HR industry today. Adams shares many useful, eye-opening tips and tangible solutions, challenging conventional thinking and pushing readers to try something different. Along with being a best-selling business author, keynote speaker, and strategic advisor to companies and governments, Bernard Marr was recognized by LinkedIn as one of the world’s top five business influencers. Marr has authored a number of books and reports on big data and analytics in business and contributes frequently to the World Economic Forum. In his book, Data-Driven HR: How to Use Analytics and Metrics to Drive Performance, Marr uncovers the ways data can contribute to organizational success by driving performance, optimizing processes, and improving decision-making in the HR industry. The book encourages HR professionals to leverage the vast amount of data available to them. Big data and analytics are changing everything about the way we do business—and that includes hiring and managing people. This book is a great resource for any HR professional looking to embrace innovation through data and technology. Marr offers real-life use cases, with helpful takeaways that anyone in the industry can take advantage of. Pia-Maria Thoren is the founder of the Agile People movement, which started in Sweden in 2013. She specializes in agile HR and leadership, and has consulted for some of the largest international companies in Sweden. In her book, Agile People: A Radical Approach for HR & Managers (That Leads to Motivated Employees), Thoren outlines ways that HR professionals can adopt a flexible, fluid mindset, creating a structure and culture that’s designed to meet future challenges. She emphasizes that to ensure teams are motivated and successful, HR professionals must become agile and step outside of their comfort zone to adapt to newer ways of thinking. This book made our list because it’s a must-read for any HR professional looking to become an agile leader. It’s an excellent guide to embracing the agile mindset to help drive cultural change and prepare for future challenges at your organization. Glenn Elliott is an award-winning Entrepreneur of the Year, CEO and growth investor. He founded Reward Gateway, a category leader in employee engagement technology. Debra Corey has more than 30 years experience in senior HR roles at many well-known, global organizations. In their book, Built It: The Rebel Playbook for World-Class Employee Engagement, authors Elliott and Corey share “The Engagement Bridge,” a proven model for building company value through sustainable employee engagement. The book highlights the key areas that leaders should assess in order to build a highly engaged company culture. This book shares a unique approach to building an engaging company culture, with helpful case studies and tips for transforming your workplace. The authors share how some of the world’s most rebellious companies have broken the traditional HR rules and improved engagement. In addition to being an award-winning author and speaker, Eric Chester is a Certified Speaking Professional (CSP), a prestigious credential awarded by the National Speakers Association. He’s also in the International Professional Speakers Hall of Fame, an honor that’s shared by less than 5% of professional speakers around the world. In his book, On Fire at Work: How Great Companies Ignite Passion in Their People Without Burning Them Out, Chester compiled exclusive personal interviews from over 25 company founders and CEOs. The book serves as a practical guide to help any organization build a workforce that’s not just engaged—but on fire! In this book, Chester lays out a roadmap for creating an inspiring, engaging culture that employees will love. It serves as a helpful guide for attracting and retaining exceptional talent at any organization. Chester’s book is a must-read for any HR professional looking to inspire today’s workforce. Along with being a best-selling author, Alexandra Levit is an internationally recognized futurist and global consultant. She was named Top Entrepreneur to Follow on Twitter by Forbes, Mashable, and CEOWorld, and frequently contributes to The New York Times and Forbes. In her book, Humanity Works: Merging Technologies and People for the Workforce of the Future, Levit shares a guide to making the most of creativity, judgment, problem-solving, and sensitivity by explaining how talent and machines can work side by side. She covers how organizational structures can become more agile and focused on driving innovation. We included this book in our list because it emphasizes the importance of taking a proactive approach at work. Levit expresses that the most successful leaders don’t react to current trends—rather, they anticipate them coming and adapt their approach in advance. This is a great read for people in HR who want to prepare for the workplace of the future. Ben Eubanks is an analyst and influencer who oversees the development of research and insights to support HR. He’s also the founder of HR community upstartHR, co-founder of the HRevolution movement, and host of a podcast called We’re Human. 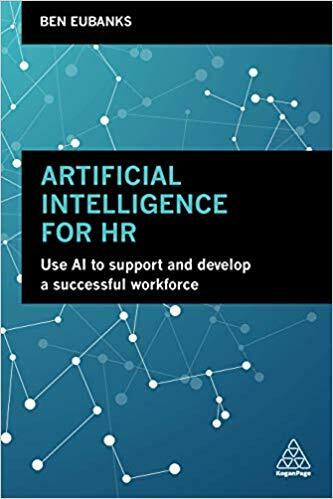 In his book, Artificial Intelligence for HR: Use AI to Support and Develop a Successful Workforce, Eubanks provides a helpful overview of artificial intelligence (AI), how it’s changing the world of work, and the many opportunities it’s created in the HR industry. 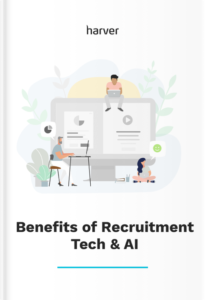 This book is an excellent resource to help HR employees understand the impact that AI will have on the employee experience. As businesses look to become more agile and proactive in the digital age, AI will become increasingly important as a business strategy—especially when it comes to anticipating talent gaps and hiring the best talent. These books should keep you busy reading and learning helpful new insights throughout all of 2019. If you’re feeling extra ambitious and want to add more great reads to your list, check out 12 great recruitment books.